What Does Back Pain When Sneezing Say About My Health? What Does Back Pain When Sneezing Say About My Health? Whatever irritant you may be most allergic to, when allergy strikes in, whether it is allergy season or not, there are people who are likely to experience back pain when sneezing. Back pain or spasm is common occurrence when you sneeze, but at times, the pain could be severe and throbbing. This should awaken your senses as a painful sneezing may be an indication of the body’s underlying condition. It is time to learn and understand why one’s back hurts upon sneezing. This article finds solution to your doubts and questions about the same. By the end of the article, you will be more knowledgeable about your health to prevent any unwarranted situation related to back pain. 1 How does sneezing cause back pain? 2 What causes back pain when sneezing? 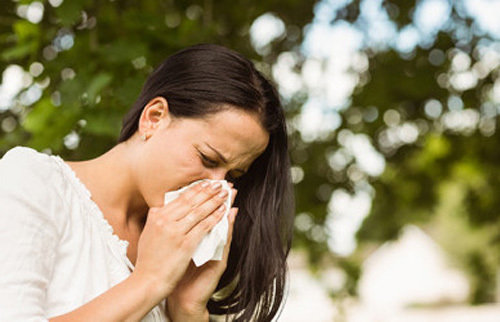 3 What are natural or alternative ways to ease or treat back pain when sneezing? How does sneezing cause back pain? If you live in tropical countries, sneezing can be a common incident considering that dust as allergen or irritant is present all year round. However, for some other reasons, which will be elaborated in the succeeding section, back pain comes along. When an irritant or allergen gets into the nose, it stimulates the trigeminal nerve that triggers a reflex reaction from the body’s effort of expelling the irritant through powerful outflow of air from either the nostrils or the mouth. We underestimate the power of sneeze as something inherent in the system. While it is, it is a powerful source, which according to Metropolitan Pain Consultants, the release of which reaches up to 100 miles per hour. While sneezing is natural, it can be violent since it is capable of aggravating different parts of the body causing pain therein. What causes back pain when sneezing? Sneezing, in itself, causes pain when you make a sudden and spontaneous twist or movement as you sneeze. It wrenches the joints and muscles resulting to a sharp pain. Moreover, back pain when sneezing likewise indicates an underlying health condition that could be possibly contributing to the painful experience. When you have a history of sciatica or you feel some pain in your lower back that radiates down through the thighs, knees, and legs, then this could be the reason why your back hurts when you sneeze. Sciatica is a term used to describe the pain that is caused by nerve compression or inflammation. 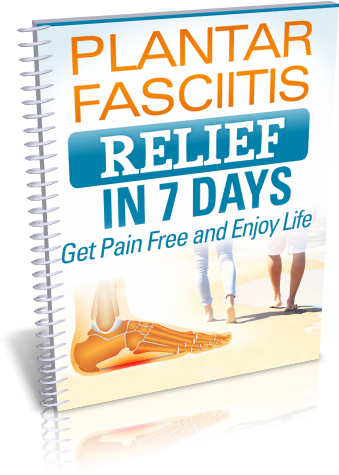 It radiates down to the legs and feet as the pain is distributed along the path of the sciatic nerves. The pain may range from a mild one to something severe and it is aggravated when you sneeze considering the force involved upon sneezing. If you feel a lower back pain when sneezing, it is more likely caused by an inflamed or compressed sciatic nerve. The massive amount of activities we do that engages our back could be straining the muscles and ligaments in our back. The wear and tear in the tissues, worsen by poor posture and an untreated back injury, makes the back muscles less stable. Because of this, one experiences pain in the back and even in the chest area, shoulders, and buttocks. The strain in the back, particularly in the lower back where muscles connect to the nerves throughout the body, causes pain especially with sudden force like sneezing. Slipped disc could either be a cause or result of sneezing. Back pain that arises when you sneeze could be a result of a slipped disc. When you have a slipped disc, this means that the jelly-like substance, called nucleus pulposus, of the disc bulges out. The disc is a circular formation found in between each vertebra of the spine. The disc, when it bulges, touches its nearby structures that include a nerve stemming out from the spinal cord. When it presses on the nerve, it adds pressure irritating the said nerve. Along with the irritation of the nerve, an inflammation around the disc, and movement involving the same results to such pain. This is why when you sneeze, you feel pain in your back. It is likewise important to remember that the excessive force involved in sneezing could also cause the disc to slip. As above mentioned, a sneeze, while natural, can be powerful and forceful to the extent that it causes the back to go into spasm. In an article in Huffington Post, the sneeze that triggers back pain could be a result of muscular imbalance. For some people, their muscles can be too tight caused by either structural imbalance or as a result of their daily habits. In situations like this, your muscle group may weaken and the muscles tend to wear out eventually. A sneeze may be enough to trigger back pain or back muscle spasm. What are natural or alternative ways to ease or treat back pain when sneezing? Of course, in case of extreme and persistent pain, going to the doctor is still the ideal option. However, there are instances when self-care or natural methods will work for you especially if the pain does not imply any urgency or pose grave threat to your life. The following are some ways you can do to alleviate and treat back pain when sneezing. There are over-the-counter painkillers or anti-inflammatory medications that you can use to ease the pain. Application of heat and ice helps soothe the nerves and muscles while increasing blood flow, and reduce the painful sensation. Giving yourself a rest is also advised. Choose best Mattress for Back Pain Relief is one way that help. Getting a rest does not mean going completely immobile. Doing some stretch or light activities will definitely help you recover faster. Yoga, which is found to increase range of motion while strengthening and coordinating muscles, helps relieve and prevent back pain. There are also preventive measures that you can do to thwart or avoid back pain when sneezing that includes turning your body when you feel like you are about to sneeze and keeping the mouth open. Remember that when you restrict or try yourself from sneezing, you are more likely to experience back pain. One helpful tip is to let the sneeze out. Sneezing is considered as a normal body reaction, but through this article, we have realized and understood how it affects our overall health and wellness. A sneeze can be a preventive measure as it keeps away certain irritants or allergens, but it also poses risk to the body especially when poorly executed or there is an underlying condition that could worsen. High regard should then be given to sneezing especially when it brings back pain along with it. Does constipation cause back pain? Find the answer here!